Portraits of two beloved icons–Sholom Aleichem and Theodore Bikel–are woven together in this enchanting new documentary. The two men have much in common: wit, wisdom and talent, all shot through with deep humanity and Yiddishkeit. Theodore Bikel, the unstoppable performer whose career spans more than 150 screen roles (including an Oscar-nominated turn in “The Defiant Ones”) and countless stage and musical productions, is also the foremost interpreter of Sholom Aleichem’s work. Now 90, Bikel has played Tevye the Milkman on stage more than 2,000 times, and he has animated Aleichem’s work through his creation of two celebrated musical plays about the great Russian author. 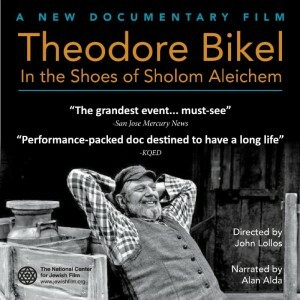 The new film Theodore Bikel: In the Shoes of Sholom Aleichem combines Bikel’s charismatic storytelling and masterful performances with a broader exploration of Aleichem’s remarkable life and work. A pioneer of modern Jewish literature who championed and luxuriated in the Yiddish language, Sholom Aleichem created dozens of indelible characters. His Tevye the Milkman, Motl the Cantor’s Son, and Menachem Mendl–“shtetl Jews” for whom humor and pathos were two sides of the same Yiddish coin–remain invaluable windows into pre-war Eastern European Jewish life, real and imagined. Theodore Bikel: In the Shoes of Sholom Aleichem (Trailer) from National Center for Jewish Film on Vimeo. 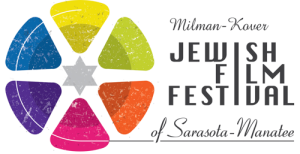 The National Center for Jewish Film is a unique, independent nonprofit motion picture archive and distributor. This month several screenings of Theodore Bikel: In the Shoes of Sholom Aleichem will be presented across Florida. Below you will find information on these screenings and where tickets can be purchased. Week Theatrical Run March 13-19 Tickets and showtimes coming soon!